A series that digs into wellness at the root through science and the human experience of self-care and purpose. Digging into the topics of mindfulness, intuition, dōTERRA essential oils, women's health, nature as medicine, purpose and more. Each episode grows on the stories and tools for living and leading a more mindful, intuitive and nontoxic life. 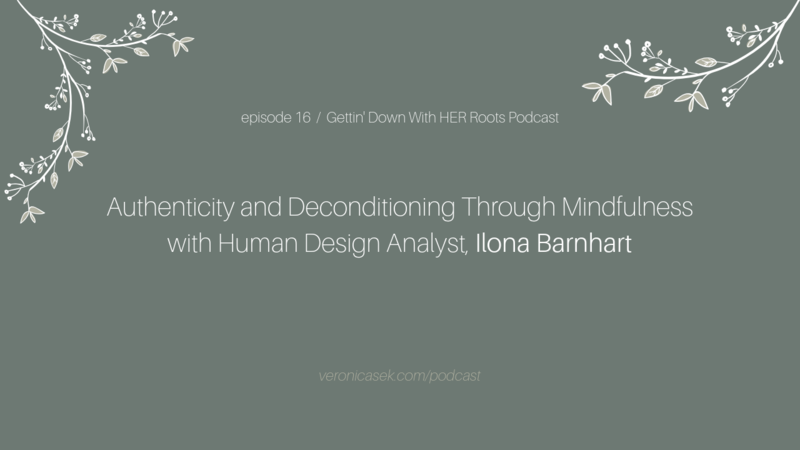 This week I talk to a woman who has been going against the grain, gettin’ down with her roots, with confidence before it was even a thing… My good friend, Ilona Barnhart. She is an Artist, Yoga and Mindfulness Teacher and Human Design Analyst. While cultivating a conscious lifestyle, Ilona combines yoga, mindfulness and human design to guide individuals to the healer and guru within, resulting in a magnetic, authentic, and ecstatic life. In this episode we caught up with her since her first appearance in season one, a little over a year ago I believe! Since then she has made so many shifts in her life, especially after finding Human Design. She tells us about her joy in helping others reconnect with their authentic self through their HD type, or as she calls it your soul’s fingerprint. If you’re slightly interested in what that looks like or want to hear the transformations she’s already experienced personally and seem clients go through, dive on in. You are a smile away from being subscribed. Yayyyy! Just enter your name and email.